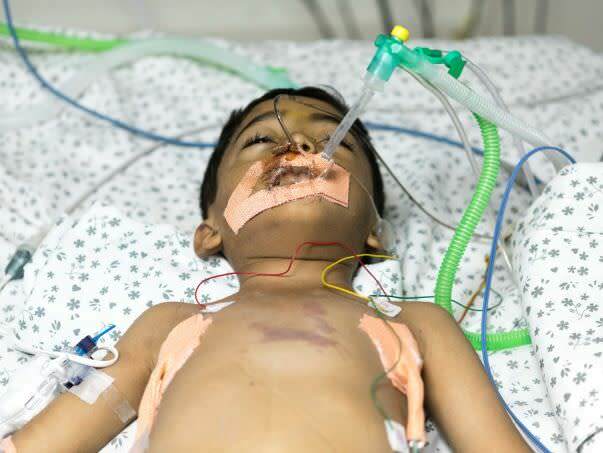 4 - Year Old Rithwik was rushed to the hospital yesterday morning at 6.15AM. He was brought in an ambulance from Warangal (In A.P) as he had severe breathing difficulties. He was immediately put on ventilation. 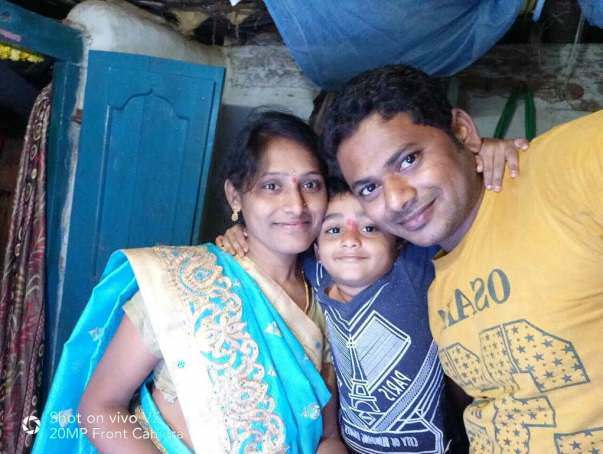 Ashok- Rithwik's father works in Warangal in a small private company. He earns around Rs 12000 a month. 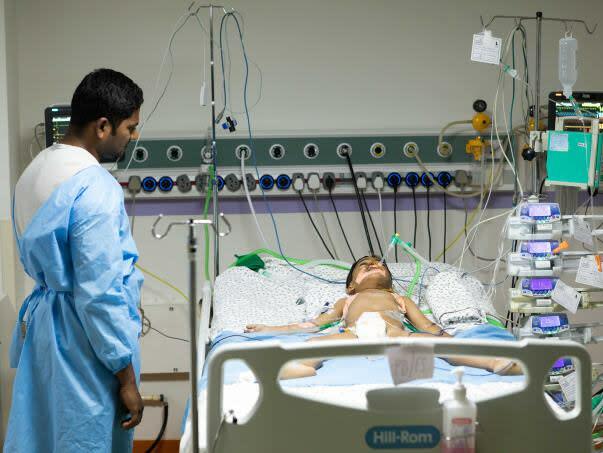 His life suddenly turned upside down as he did not know what was happening with his child and he had no money as well to pay for his treatment. Rithwik's mother is back home and could not be with him as she had to take care of her other child. Currently Rithwik is having difficulty in maintaining oxygen levels in his body. Hence on high end support and care. He can be saved in time if he gets support in time. Please help saving Rithwik's life. Thank you for the wonderful support that you have shown towards Rithwik. I have some news to share with you today. 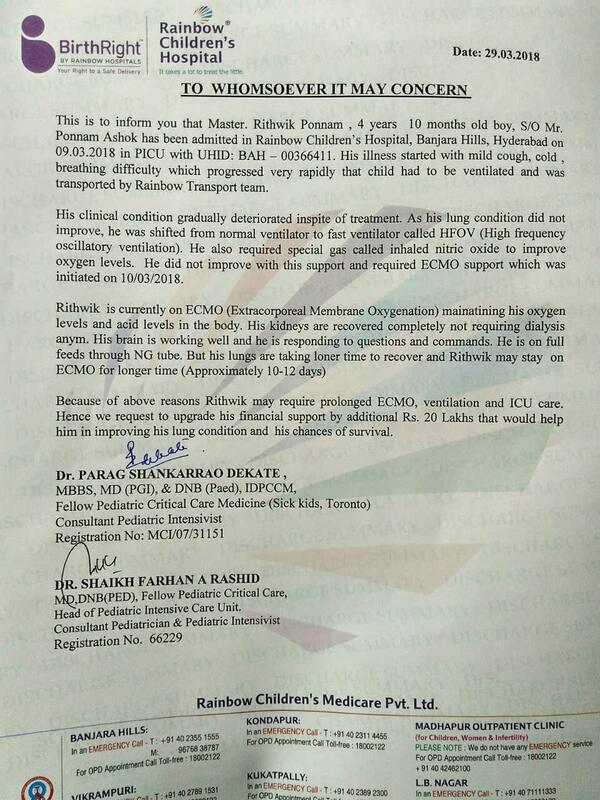 Rithwik was diagnosed with breathing difficulties and cough, which started increasing very rapidly. He was on ventilator support and his dependency on the ventilator kept on increasing. He was shifted to ECMO support to support the oxygen levels in his body. He developed blood infection and was being treated for the same. In spite of our best efforts, we could not save him. This tough brave kid fought really hard for 50+ days but his body was unable to take the stress. He left all of us on 29th April. His family is completely devastated. All the funds raised via this campaign have been used towards his medical expenses. Thank you for the wonderful support. Please do pray for his soul to rest in peace. Here is an update of Rithwik. He is slowly responding to treatment. He is asking for water in the below video. Please do pray for the little boys recovery. He needs to be in the hospital for another 10 days. Thank you so much for the support you have shown towards Rithwik so far. He is improving slowly, his lung condition is better than before and we could see air going into lungs but his lungs are still weak to completely oxygenate the body. That's why he is still requiring support from ECMO machine for oxygenation. 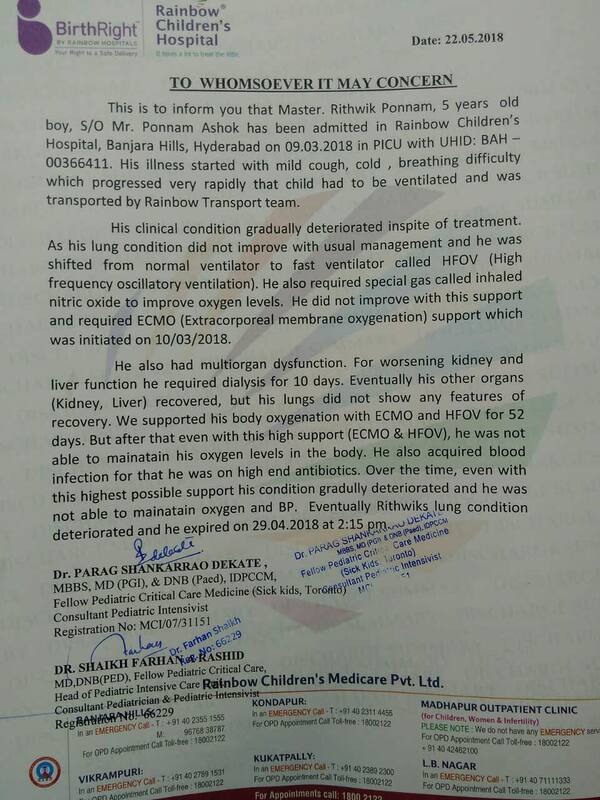 Otherwise Rithwiks other organs are improving, his kidneys have recovered compeletely and he has not required any dialysis support since last 8 days. He is concious and responding to commands and questions. His liver and infection completely recovered. He is on feeding through a tube into his stomach. 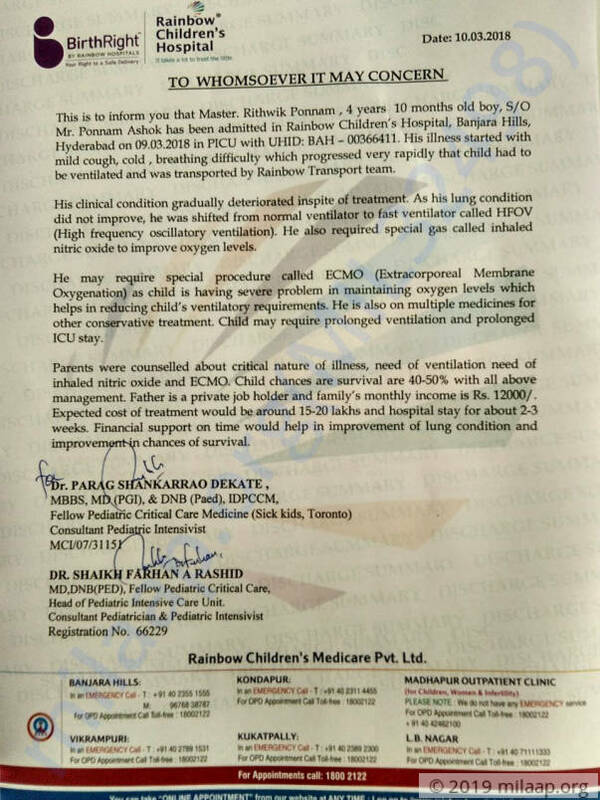 Because his lungs are still weak he is not ready to come out of ECMO machine and he will require another 7 days for that. Most likey he will require ECMO support for next 7-10;days and if his lungs start recovering by that time we should be able to come off ECMO support. 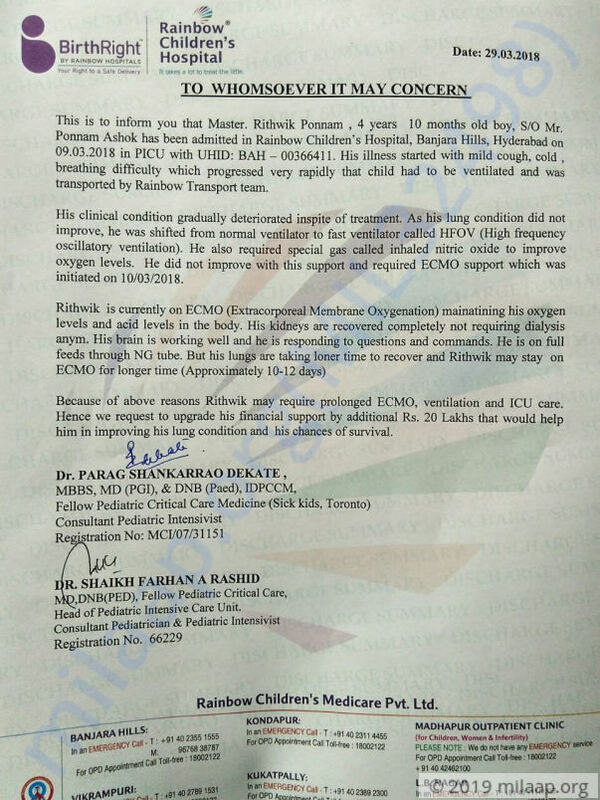 The additional ECMO support has increased the bill considerably by 20 lakhs and his parents cannot afford this. 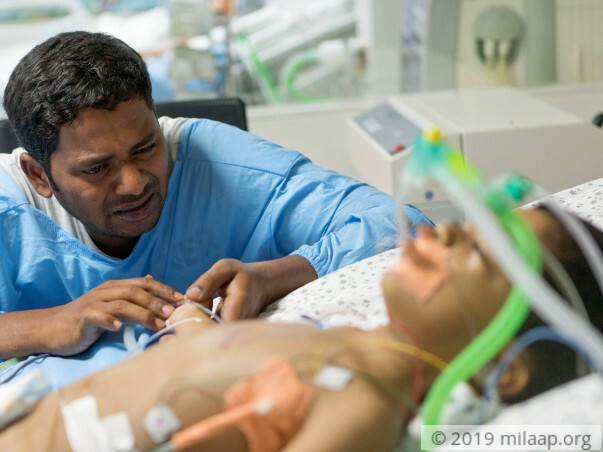 We need enhanced support to keep Rithwiks ECMO support going on for next 7-10 days.